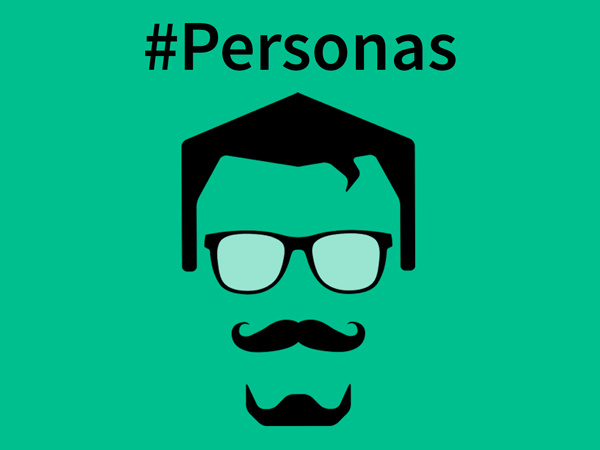 How Do I Create A Persona For My Content Marketing Efforts? First is Content Marketing, if you don’t know your audience, you will never be able to produce assets tailored for them. These audience members will hopefully find great joy is consuming the content you produce, share it with their friends and co-workers, and moving through your outlined Customer Journey. This may include purchasing something from you, influencing a purchase, or helping your brand grow. Whatever you want them to do, you have to have a plan to deliver content that is engaging. Unfortunately, most marketers are good at cranking out content, but they fail at cranking out content that delivers these engaging experiences due to their lack of knowledge and empathy for the audience. Enter the need for great personas. Second is Agile Marketing. Agile Marketing is how your team executes the marketing efforts. What you do to plan your content, create your content, listen to your audience’s reaction about your content, and make adjustments when necessary is the premise of Agile Marketing. If the number one goal is not Audience Satisfaction, you will not produce content at the appropriate time, know how to deliver value, and many more costly mistakes that will drive your Content Marketing bus down the wrong street. How bad would it be to have an amazing marketing effort but all along you targeted the wrong audience? Even mediocre content delivered to the right audience would perform better. If you are just reading in this series on personas, I suggest you check out these two articles: Why do I need Personas in my Content Marketing Strategy? and Looking for Persona Data that Matters. They will fill in some important information about personas and get you ready for this post. Being everything to everyone is the quickest way to failure with Content Marketing efforts. For your efforts, isolating your audience to a niche with as limited of scope as possible will allow you to succeed quicker. Ask yourself the question, if you had to get on a soapbox and start talking, would you rather do it at an industry conference or on the corner of the street where your location is? That answer could easily go either way depending on your market. Being at one location could be perfect and the other location would probably be a complete failure. All of this is due to the audience at this location. To find an audience of decision makers, thought leaders, and influencers, we need to determine what key demographics we need to get there. Understanding what industries matter to you, what areas of the country or region, and size of the company in a B2B transaction will help isolate the folks you want to reach. In a B2C business, location, wealth, life stage, and other factors offer the same ability to limit the size of your audience. One practice I suggest when thinking about the personas in an audience you are building is grouping your existing customers in buckets. The definition of the bucket is up to you, but you should be able to see some patterns in your sales that show you some characteristics to define the bucket. For us, our decision makers tend to lead the marketing departments of companies based in the Midwest. These companies have both IT and marketing teams and are able to purchase high end, enterprise Content Management Systems. By isolating these audience groups, we can focus our content efforts to these people and have a higher likelihood of reaching them with multiple delivery tactics. As we continue to build our audiences, we can loosen some of the limitations we put on the audience to grow our business. One easy characteristic we could remove over time is having our clients located in the Midwest. This would allow us to grow more, but we would need to be equipped to nurture these audiences with a larger geographic sales team and more resources to place ads, hold events, and deliver all forms of content. For now, we keep the limitation there until we are ready for that growth. When trying to select the smaller audience bucket, a good test to see if you are compatible, is your understanding of acronyms and terms of the audience. If your sales team understands and can speak the lingo, then it is probably a good fit. If you need to do research, then chances are you don’t understand what the audience is going through. So ask yourself the question, how do you expect to build empathy for those within it? Before you begin creating personas, it is important that you consider the audience you are attempting to create content for. Defining your audience is one of the few points in Content Marketing strategy building where you get to focus on your wants and needs. The audience you are selecting will drive new business, help build your brand presence, and hopefully prompt more members of this group to join. An important audience member some forget are those who hold the megaphones in your industry. You want them to see how you can complement their efforts. They hopefully will see you as someone who also can educate their audience and are not just competing for their audience’s time. Back when we launched Geekswithblogs, I had met Robert Scoble at several events and we became friends. He listed our site in his blog roll and that listing drove a lot of traffic to the site in the early stage and helped us become a household name in the software developer blogosphere. Decision Makers – More research is showing people make a higher percentage of their decision making via content, before ever talking to a sales person. That means the quicker we can show that decision makers our value and provide them information that will educate and entertain them during the process, the higher likelihood they will go with us. Influencers – The folks who sign the contracts often are not the ones doing the research. If you can inform these folks during the early stages of their research you can start to direct them to your brand. Often times this is a longer play, but these folks are the ones who are scouring the web for information and looking for gems in the cave. Industry Leaders – In every industry, there are a handful of people who are treated like they are a fount of wisdom. If you are one of these people, then you are light years ahead of the game. If you are not, these are now the cool kids you want to hang out with. Finding ways to help them with information, show their content off, and build their audience will most likely return in opportunities to advance your presence in the community. Remember, these folks are not immortal and are very much as human as you. Put yourself in their shoes and consider their needs as much as you do the folks who purchase from you. With a laser focus on a market segment and three audiences selected, you can now create your first three personas for content. You could create more, but limiting yourself early, will allow for you to quickly make adjustments in your Content Backlog as your get started. Three is enough to add variety in your content and allow you to focus on multiple fronts without causing exhaustion. One tip I suggest for people creating new personas is think beyond the gender of the persona. If your industry is female dominate, could creating a male persona help you think beyond the gender bias you might have? If all your personas are the same gender, change it up. Persona goals are usually bloated with stereotypes or misplaced goals we hope our personas have. This is the first place I look for inaccuracy in our understanding of the audience. To get started, write the first five goals that come to mind and set them aside. Now write five more goals that are not on the first list. Next, find a person who matches the persona type on LinkedIn or at an event. Ask them if they would be willing to list some goals based on the areas you plan to address with content or have them sort your whole list by priority. Skipping this step will quickly lead you down the wrong path so I plead with you, just do it! After you have the list of 10, bring it down to the top 4 you can address. Put them into your persona template and be prepared to defend the reason they are listed. Also, since we will be changing these personas often, try to keep in touch to see how priorities shift and new goals need to be added or removed. One easy way to help a persona to stick with your team is identify a quote for the persona. Typically these quotes will be an answer to a question about their one big wish or greatest need. Real quotes are far more valuable than made up ones, so plan to add it to your LinkedIn or in-person surveys. Recording the audio for the conversation is the best way to ensure you get every word right. Cheap recorders or smartphone apps will do the deed for these sessions. Another avenue would be a basic conference calling service with audio recording or Skype. These tools will let you use the phone as an interface for your interview and provide a level of comfort that your interviewee will appreciate. You can understand how hard it is for most folks to respond with a big microphone in their face. On your persona template, make the quote stand out. When you see it, you want the viewer to immediately have their eyes go there because of the power behind the words. These quotes will help your team during the content production process to make sure everything is aligned. If everything else was wiped away from the document, the quote would be able to stand and be helpful. Hand and hand with goals are the persona’s challenges. Try to look at the road blocks they will face when trying to reach their goals. These could be rooted in education, physical need, wisdom from an expert, or many other forms. To get to the challenges, ask people who match your personas what they see the biggest road blocks are for them to achieve their goals. You could also ask if they could have one more member on their team to address the challenge, what you would hope they bring to the table that your team doesn’t already have. Sometimes you cannot assist with the road blocks directly with your products, services, or content, but you can provide a solution by pointing your audience in the right direction like a concierge. In whatever you do for your persona, providing a valuable experience with your brand is key. This field addresses the ways we plan to tackle the goals and challenges of our persona. As this field will change overtime when new strategies and content types are adopted or dismissed, we need to keep this as high level (or abstract) as possible. Think of this like a Persona Mission statement. It should be in line with your Content Mission Statement, but focus on the individual needs of this persona. You need to find a way to allow your content developers to meet your persona. Since this is a fake persona, that can be pretty difficult. One approach you can take, is get your personas on paper and take some time to make them shine. Find a good picture (a few if you can) that represents your persona. Get all the details we mentioned above together and place them on the layout so your team can walk by and glance and get a reminder of who we are trying to reach with our content. Other teams can walk by and get to know these folks as well so it is a big win to do it right. Don’t just go 8.5 x 11 on your laser printer, think bigger. It is so cheap and fast to print up half-size or full-size posters these days and I am guessing you have someone on your team with enough skill in Word or Photoshop to make something look good. The point is to make these personas look as important as they are and to become part of your team. If you have a place where you meet often with your team to plan, this would be a great place to showcase your new personas. Think back to the Harry Potter series and how the paintings on the wall came to life (mostly kidding). Your personas can not take a breath, come by your office for a chat, text message you when there is a problem, or meet you somewhere for lunch. They are the most detached customer you will ever have because of their fictitious nature. Yeah, that may seem like a stupid thing to bring up, but in that statement I want to hammer in the point that there isn’t any magic in the process. Just by walking through the exercise, you will gain insight into your audience, but that is not the full power of the persona. The full power is when you make them a part of everything you do when dealing with the audience. To do so, you need to make plans to adopt your persona in your activities. Ask your team what your personas would say, review your content with your persona in mind, make sure you have your personas represented in your planning meeting, and constantly think about the experience you are delivering to them. Until this is second nature and everyone on your team knows and cares about them, it will be an action you have to do on purpose. If you have a documented process of constructing and delivering content, write down the steps, and next to each one identify how you can involve your personas. The smaller your team is, the harder this will be, so get as many on board as early as you can. One thing you might consider is gamifying the process by offering rewards for those who produce content with the personas in mind and can demonstrate how they did so. Monetary rewards, gifts, and gold stars are still great ways to show your team that you appreciate their efforts. Whatever you end up doing, make sure if you are the leader that you have the highest accountability to making sure this works. Your team will see the hard work you put into the persona, the value created by that hard work and follow your lead. This article was syndicated from Business 2 Community: How Do I Create A Persona For My Content Marketing Efforts?